David Spader speaks to an MDCE crowd Tuesday about leadership. ORLANDO, Fla. — David Spader, a popular speaker and the lead trainer at Spader Business Management, spoke to a packed room Tuesday at the Marine Dealer Conference & Expo about "Becoming the Leader Your Dealership Needs Now." Spader stressed that a changing economy, a changing work force and changing technology make it imperative that the leaders of any organization maximize their staff by maximizing themselves. "How much of any impact do we have as leaders?" Spader asked. "Fifty to 70 percent of a dealership climate is directly related to the actions of a leader." He described a dealership where employees said they could predict a good day or a bad day just by gauging the boss&apos;s mood as he walked in. "Within two hours or less, any organization will have the same mood as the leader," he said. "Managers need to stop and think, &apos;How am I affecting the mood of my dealership?&apos; "
Spader said a positive culture and quality employees that fit that culture are the two most important foundation blocks of a successful dealership. Processes and strategy are clear runners-up, he said, and should only become a focal point after the first two blocks are set. "It comes down to culture. Culture drives everything else," he said. • "The most common reason successful leaders fail is overconfidence. They think they know everything and don’t ask the questions they used to." • “Eighty-percent of all managers have a significant leadership blind spot." • "Only 1 percent of all leaders in North America effectively change their leadership approach as the environment and situation changes." • "Bigger is not necessarily better. Some of the best-run, most profitable dealerships are smaller ones." • "Companies with strong cultures radically outperform those without." • "Celebrate wins. Catch people doing things right." 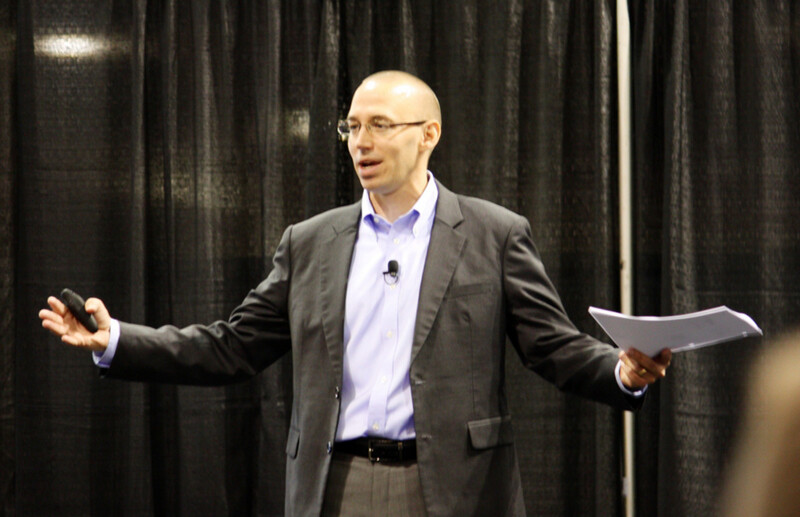 • "A lot of managing the culture at your dealership is not rocket science. It&apos;s just measuring it and acting on it."